Concrete Ship is one of our most well-received beers. We first brewed it in the summer of 2015, but soon realized that this is a brew best sipped while chasing away the winter blues. Named for the sunken SS Atlantus, a retired WWI concrete ship visible from Cape May’s Sunset Beach, our Concrete Ship is perfect for chasing away this frigidly cold winter weather. At a respectable 10.5% ABV, this Russian Imperial Stout will keep you warm no matter how low the temperatures plunge outside. A fantastic stout, but don’t take our word for it — read what people have been saying about this stellar stout. For hearty stews or desserts, stouts work great with them. Stouts are perfect for winter. When the temperature turns to the single-digits — as they have been as of late — all you want to do is curl up by a fire wrapped in a blanket with one of these high-ABV brews and forget about the world around you. We know. We do it, too. The next best thing to drinking a hearty stout is cooking with it, and some of the sharpest minds at the brewery all tend to agree that it’s excellent in a beef stew. And there’s no better stout to use than Concrete Ship. No, the record isn’t skipping. 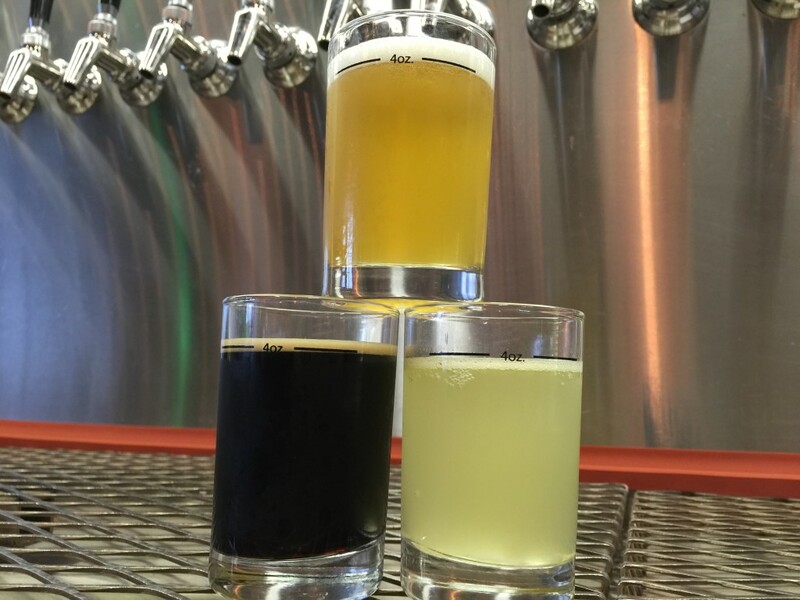 This is the third week in a row we’ve brought you three new things to sip. First up is our One-Off Wednesday: Lemongrass Ginger Devil’s Reach, for which fresh lemongrass and fresh ginger have been infused into our flagship Belgian Strong Ale. The sweetness of these Asian flavors helps “balance out the intense finish of the beer,” says Manager of Culinary Special Ops JP Thomas. 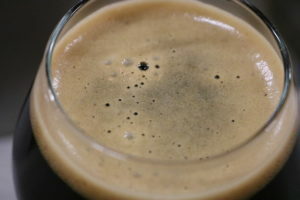 This Imperial Stout is rich and layered with flavors of coffee, dark chocolate and roasted malt. It’s so decadent, we like to think we wouldn’t mind going down with the ship, as long as this were on board. Concrete Ship is on tap starting February 4 at noon. And for the dry dude or sober sister in your group, we’ve got a Habanero Mango soda, also on tap beginning February 4, in which the tropical notes of real habaneros complement the fresh fruit. No worries for the spice adverse; the soda has been strained over top of the peppers’ seeds – aka, the keepers of the kick — and not infused with them. “The final product gives you just a little tingle on the lips,” JP says. 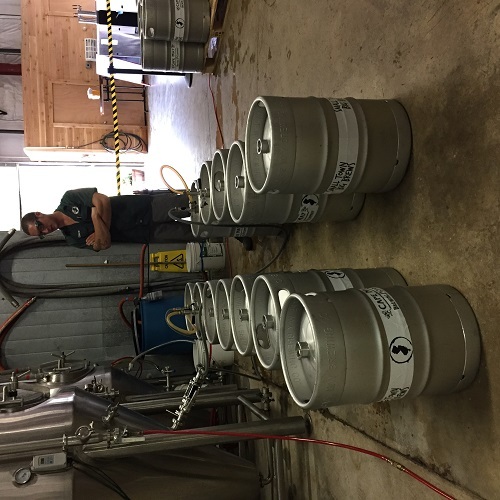 Beginning this Friday, Cape May Brew Co is serving up history by the pint. We’re talking about our newest release, Concrete Ship, a rich Imperial Stout weighing in at 9.3%. 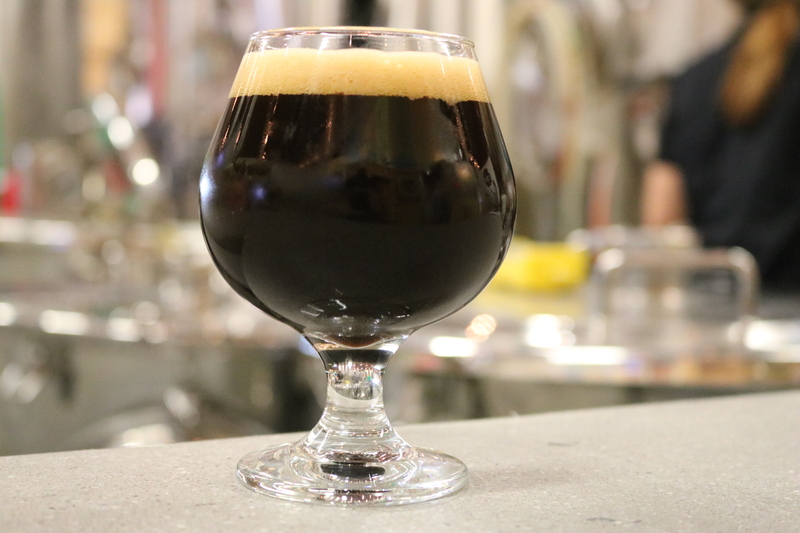 It’s a layered beer with flavors of coffee, dark chocolate, and roasted malt. Perhaps you’ve noticed a 3,000-ton, algae-covered, mostly-sunk vessel at the end of Cape May’s Sunset Beach. It’s not merely a slimy navigational hazard for out-of-control windsurfers – it’s the most famous World War I-era prototype of its kind. The story begins in 1918, when the military experienced a severe steel shortage and President Woodrow Wilson ordered the construction of an emergency naval fleet comprised of 24 concrete (yes, concrete) ships. This is what kids today would call a major fail. Only 12 of the models were completed, and all proved too heavy and, therefore, too impractical, for use in war. One of them, the SS Atlantus, found new life serving as a coal steamer in New England and, later, as transport for American soldiers from Europe home. Eventually, she was sent to Virginia’s “bone yard,” a cemetery for decommissioned ships. 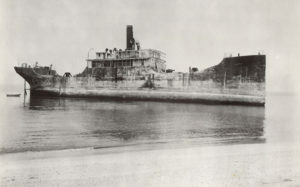 In 1926, the 250-foot Atlantus was purchased by a salvage company for use as the dock to a new ferry system running between Cape May and Lewes, Delaware. But before she could be moved into place, a strong gale pulled The Concrete Ship loose from her moorings. A watchman aboard waved a sheet in distress and, while he and his cat (yes, his cat) were rescued, the Atlantus ran aground 150 feet from shore. The Coast Guard attempted to move the ship using two large towropes called hawsers, but the only result was two broken hawsers. Since then, the wreck has become a photo-op for tourists. At one point, a local company attached a billboard advertising boat insurance to the side of the ship (har har). But winds and swell have beaten against the iron barbs of her skeleton for so long, only a small portion of the stern remains visible. Now, this is the backdrop to nightly flag-lowering ceremonies that honor veterans on Sunset Beach. Every day, people can’t help but wonder: will it ever sink completely? The answer is no, at least not from memory, at least not for CMBC fans. We’ll see you all on Friday, when we can raise a glass of big beer to the big ship with an even bigger story. Our guy Andrew, kegging Concrete Ship.